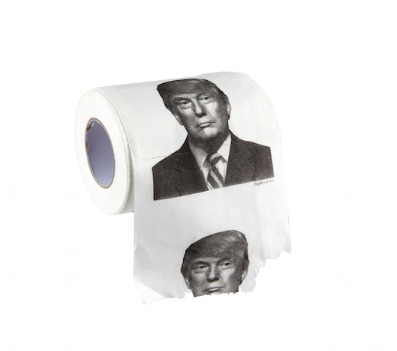 The #1 tissue for political issues.... Opinions are like a„ well, you know the rest! Makes a great gift for the family politician. Printed throughout the entire roll! Says phrases such as "Silly Poor People, Money is for Rich People" or "We Shall Overcomb Donald for President."